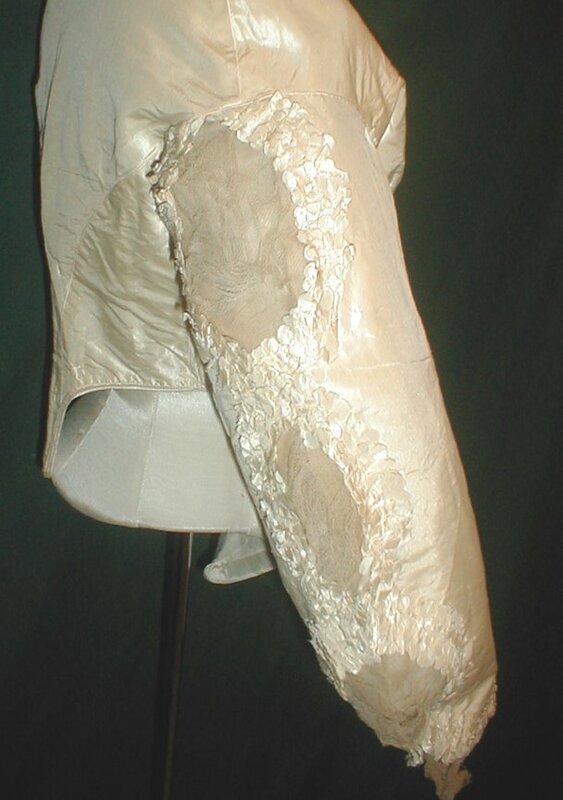 An exquisite 1855 ivory silk bodice that has been de-accessioned from a major New York City museum collection. 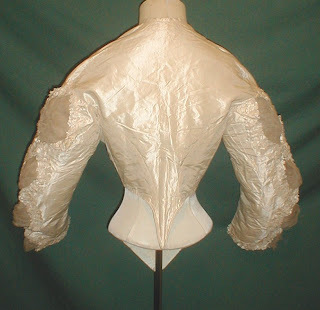 The bodice has Juliet style sleeves. 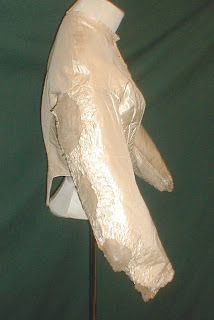 The sleeves have inserts of beige netting and are outlined with pleated ruffles. The neck, armscyes and waist are piped. The bodice is lined with cotton and has a front button closure. It is in very good and sturdy condition. 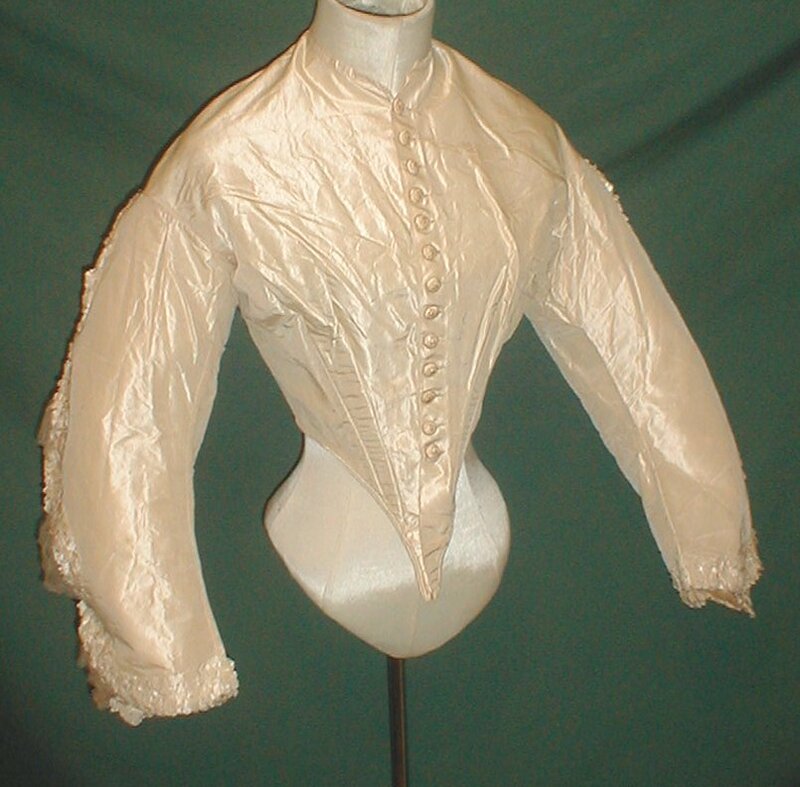 There is no underarm discoloration and no splits or holes in the silk fabric. There is a 1 inch soil line on the side of the bodice and one section of the net lace on the edge of one sleeve is splitting. Bust 32 Waist 24. I love them! It's definitely early 1860s, not 1855, because of the shaped sleeves. They remind me of several jacket patterns I've seen. The reason I agree with the seller is that very deep pointed waist and the slope of the shoulders.